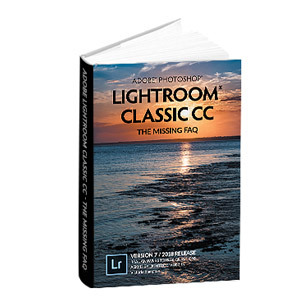 What's New in this Lightroom Release > Lightroom Classic Updates > What’s New in Lightroom CC 2015.7 / 6.7? Develop Performance Improvements using Smart Previews! Since Lightroom 5’s release, many of us have used Smart Previews to speed up the Develop module. At 2560px, they’re smaller than most raw files and they’re already partially processed, so they improve Develop loading times and interactive performance. In the past, you had to render Smart Previews when you weren’t using the computer and then rename the folder or dismount the drive to take the originals offline, forcing Lightroom to use the Smart Previews. When you wanted to check sharpening or export the photos, you had to reconnect the photos. It helped performance, but it was a hassle to keep taking photos on/offline. Now, in Preferences > Performance, you can check the Use Smart Previews instead of Originals for image editing checkbox to automatically utilize any Smart Previews which have been built in advance. Better still, when you zoom in to 1:1 view, Lightroom automatically loads the original file to provide the most accurate preview for judging noise reduction and sharpening. macOS Sierra issues have been fixed, ready for the release of the new operating system tomorrow. See my Sierra blog post for full compatibility information. OS X 10.9 Mavericks is no longer supported, as of this release. Display P3 support was added throughout the app. Display P3 is a wide gamut color space used on the latest Apple devices (iPad Pro 9.7″, iPhone 7/7+, iMac Retina 2015). It’s a similar size to Adobe RGB, but it’s shifted slightly towards reds/oranges and loses some of the greens/blues. It’s primarily useful when exporting photos for display on the latest Apple devices. Adobe Stock plug-in – If you’re a budding stock photographer, the new Adobe Stock app allows you to upload your photos to Adobe Stock directly from Lightroom. 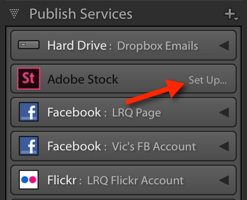 Lightroom steps you through the process when you click on Publish Services > Adobe Stock > Setup. Change to Sync behavior (CC only) – 2015.7 changes the way you remove photos from the sync cloud. You can now drag photos to the All Synced Photographs collection to add them to the cloud, and delete them from the All Synced Photographs collection to remove them from the cloud and any synced collections. If you simply stop syncing a collection, the photos themselves now remain in the cloud. Stop and read the dialogs carefully before hitting ok. Guided Upright shortcut (CC only) – Hold the Alt (Windows) / Opt (Mac) key while adjusting the lines to slow down the cursor for greater accuracy. Updated instructions for these changes are already waiting in the Members Area for owners of my Lightroom CC/6 book, and the Sync changes are also updated in the Lightroom mobile book. Nikon SDK updated on Windows and Mac. Canon SDK updated on Mac. Fixed – Collections with counts greater than 5 digits are truncated. Fixed – Pano merge failed when using source files from a Leica M Monochrom (Typ 246). Its about time they added this feature to the smart previews. Can you suggest to Adobe that they do the same thing with sharpening and noise reduction? I have to turn those off so my sliders respond quicker and then turn them back on at the end of my edit. There should be an option to keep them turned off by default but still render when viewed at 100% and also render automatically when exporting. Request it at the Official Feature Request/Bug Report Forum at http://feedback.photoshop.com/photoshop_family and I’ll vote on it. That sounds like a great idea! I’ll vote for it as well. I tried to do the update early this morning and I kept getting an error message at about 40% downloaded. I retried three times before needing to get to work so I don’t know if anyone else has experienced this. I want to get the update before updating OSX later today! It seems to only been affecting some people, but Adobe have escalated the issue to the highest level, so hopefully it’ll be fixed soon. That’s now confirmed fixed. Hit the retry button Bob! I wish I stayed up to date! Just realized I have Lightroom 5.7.1, and LR 6.7 is out. Probably means a double whammy of a price! Gah! Just the normal upgrade price Michael, although I’d seriously consider the subscription at this point. Pros and cons are here: (and the upgrade link instructions are on there too, as the right page is hard to find on the website, if you decide not to go sub). Thank you Victoria! The link you provided for pros/cons was great, I used the link you provided to purchase Lightroom CC. Thanks! Is it safe to keep LR 5.7.1 on my computer, or can I uninstall it? Is there a reason to keep it? Thanks Michael. It’s fine to keep 5.7.1, but you won’t need it so you can safely uninstall. How can there be no mobile sync, but it’s mandatory to have an internet connection for it. Is it available or not? Ah yes, a typo! I’ll fix it, thanks. > OS X 10.9 Mavericks is no longer supported, as of this release. It’s a bit sarcastic to list this under »improvements«. Does »not supported« mean it wont run at all in 10.9 anymore? Sorry Alexander, a slip of the finger! At this point, it runs but they don’t support it. Likely in the next version, it simply won’t install at all. They only support 3 OS versions back, because the amount of testing is crazy, and they start to rely on features only available in modern OS’s. No worries. Guess I’m one of the few who isn’t willing to follow Apple’s current yearly OS release marathon. Good to know it still runs on 10.9, thanks! I get errors using the help/cloud update serice, and now I have tried 3 times to download the update but each time it says the zip is corrupt. Seems Adobe still have problems. Try the direct link at the end of the blog post. yet again I had an error. I tried to update but again it failed. Then I started Lightroom and it said it was Lightroom version 6.0 – it had gone backwards. Help…. I would simply uninstall and reinstall. 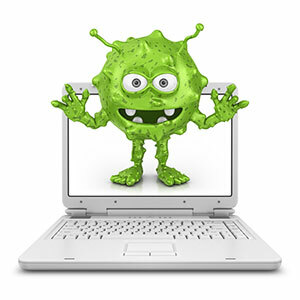 If that still doesn’t work, something bigger is messed up, so use the Adobe CC Cleaner app to clear the gremlins. Will I lose all my work or is everything preserved? I managed to reinstall back to 6.5.1, then I downloaded the update to 6.6 but that gave a checksum error. Hi, I trust I will not loose all my work by deleting Lightroom and running the cleaner? Thanks again, Victoria, for the update link. It worked perfectly, as usual. I’ve done a job through using 6.7, and it seems solid, using a mid – 2009 MBP 17 ( 2 x 3.06 GHz). I used your link to upgrade to 6.7, and now a window comes up that says the software isn’t genuine. What’s up? Sorry..I meant the upgrade to 6.8. The window comes up saying the software is not genuine. Also, when I close now Adobe says my catalog is larger than 4GB and I should use a special extractor to open it. What happened? The 4GB error message is a bug – it shouldn’t be showing up on smaller catalogs, so you can just ignore it. 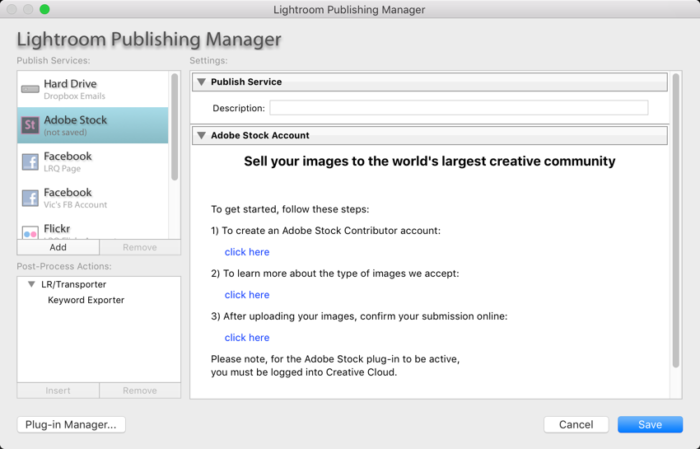 I’ve heard that Adobe is trialling a genuine software test in the US, although I didn’t know it was running on Lightroom. Did you purchase direct from Adobe or from a third party? Are there instructions in the window? I purchased the original v6 from Adobe, but used your link for the upgrades. The window offers an “FAQ” and and “remind me later button”, and a phone number to call, which only works weekdays. It hasn’t disable my app yet, but I’m worried. 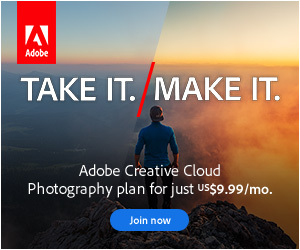 The link is an official Adobe website, so that shouldn’t be an issue. I’d love to see that FAQ if you get chance to send me the link. Give them a call, and if you run into issues, let me know and I’ll get someone onto it. I can’t call until tomorrow…but will try and let you know. Update — I think I may have found the problem. Hope you don’t mind a little lengthy description. I bought a v6 license in May 2015. I had trouble with it and asked for a refund, which I received. They then disabled the version I had several months later during a log in. I had resolved the issue (the graphics processor bug) so bought another copy of v6 in Sept . It appears that the old disabled copy is still on my machine (the serial numbers are different), and I’ve been able to determine that that is the version they’re seeing as not “genuine”. The newer one is fine. I’ve been trying to find the older version to delete it, but since it’s the same rev level, I’m having trouble finding it. Any ideas? Ah, interesting! So you mean there’s a second copy of the app? Or just a second copy of some registration files somewhere? I’m not sure where you’d find it, but the Adobe Support guys should be able to find someone who knows if you explain what’s happened. Update — I called the telephone number on the pop-up notice. The agent read me the script that goes “the reseller you bought the software from duped you”. When I told her I bought it directly from Adobe, she said I had to connect to the chat help to resolve the issue. After some repeating the entire issue a few times, that agent suggested I reinstall (uninstall and reinstall), promising that would make the issue disappear. But then adding, if that doesn’t work contact us again and we will escalate. I asked if the new install would use my existing catalog, and he said yes. How does this all sound to you? My sense is that if I do nothing, when LR7 comes along (if it does), this problem will go away. Right now, I have serious concerns about a reinstall. One more thing — I think the installer downloads v6.0. So, can I again use your link to update directly to v6.8? Yes, that should be fine. Uninstall and reinstall is safe. It’s worth backing up your catalog for peace of mind, but the uninstaller doesn’t touch it. The uninstaller does ask whether to delete preferences, but you can choose to keep them. Yeah, it could be friendlier. The “genuine software” thing is currently being trialled, so I’ll feed it back to the engineering team so they can check into it.